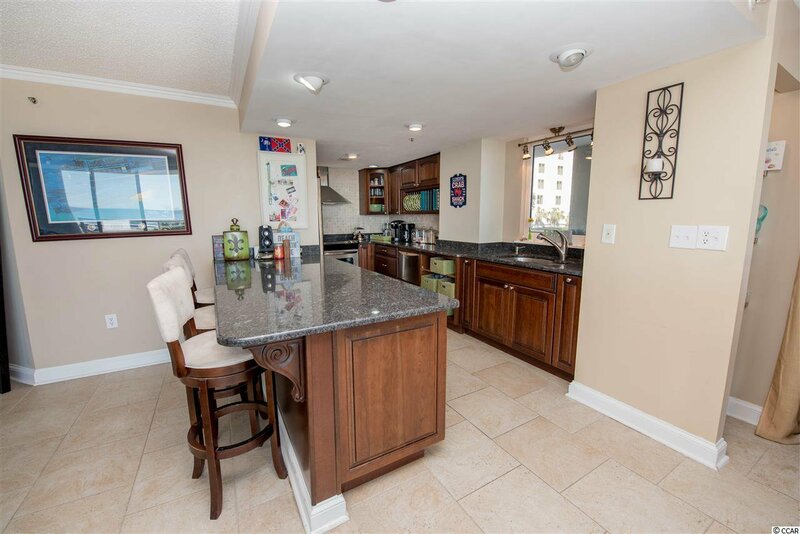 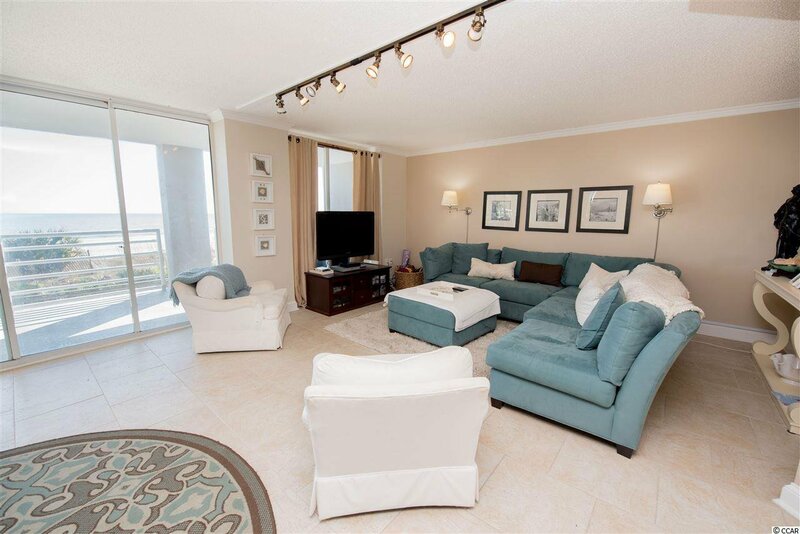 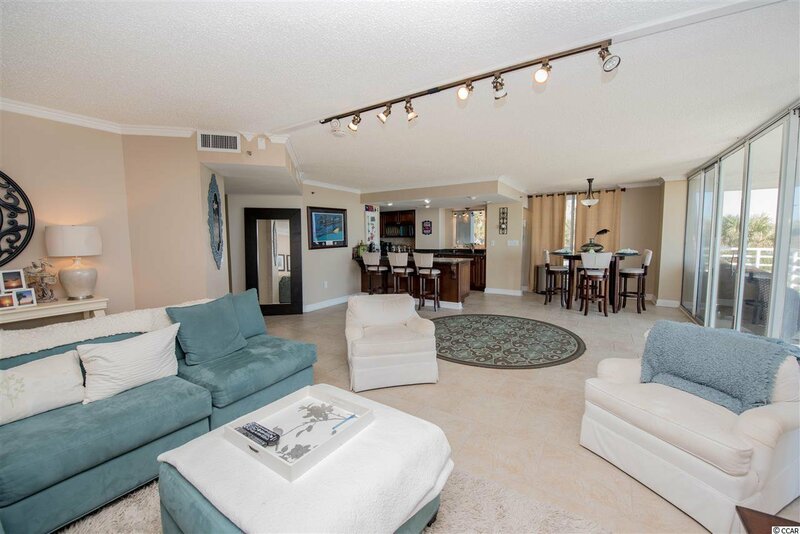 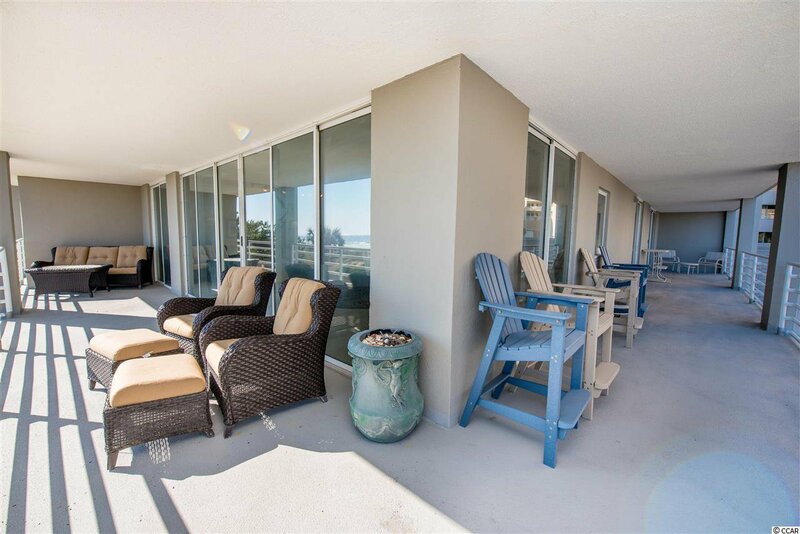 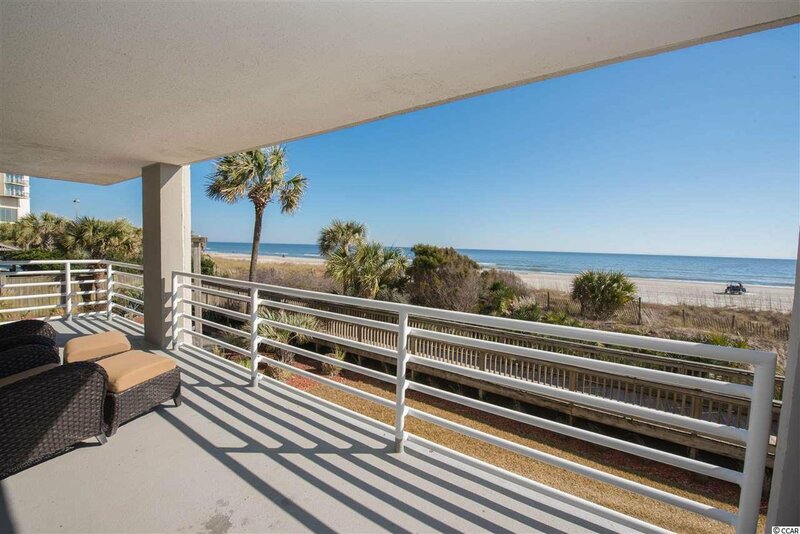 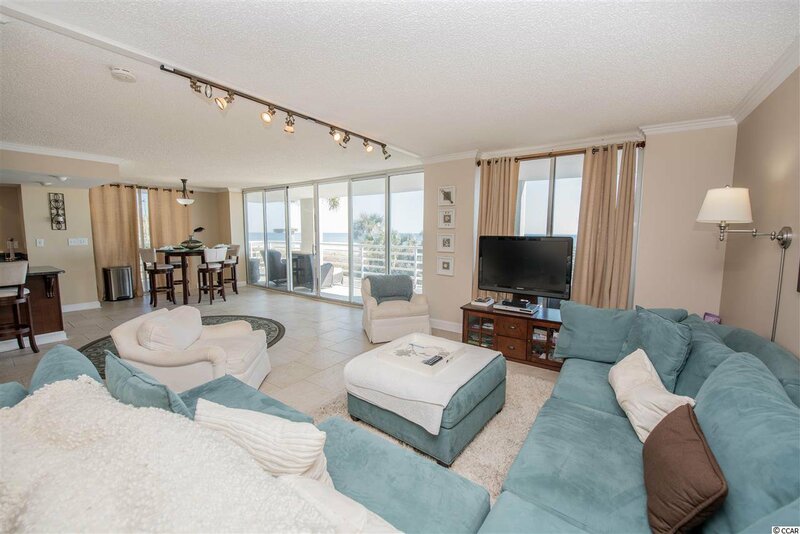 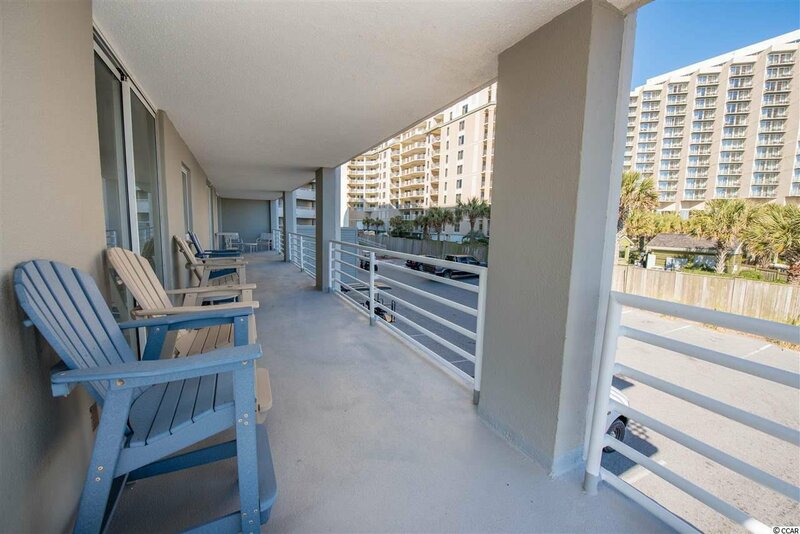 This oceanfront, furnished condo is the epitome of luxury living at the beach! 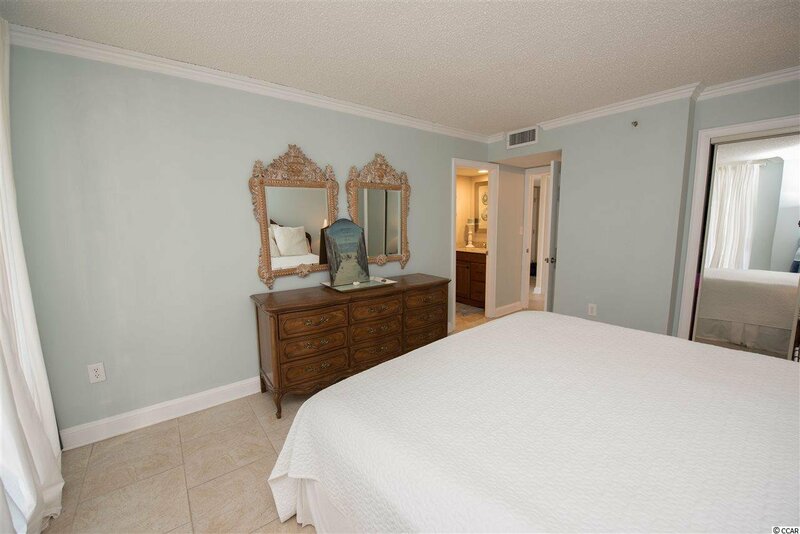 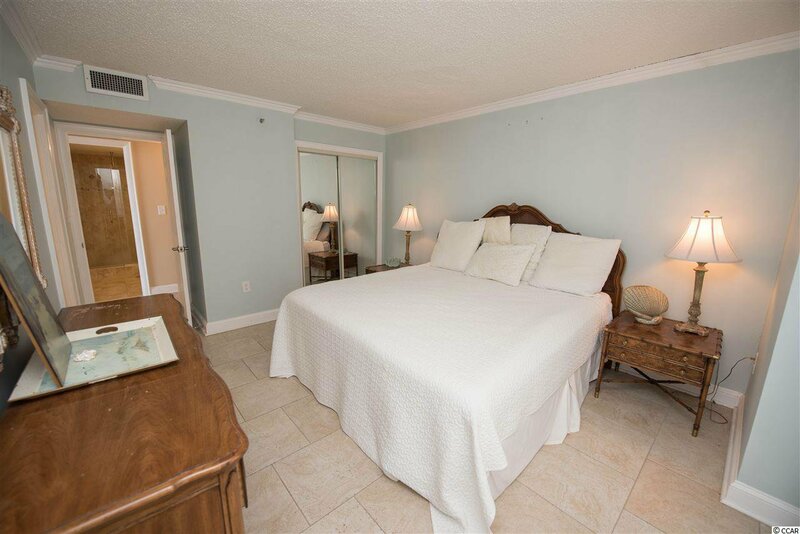 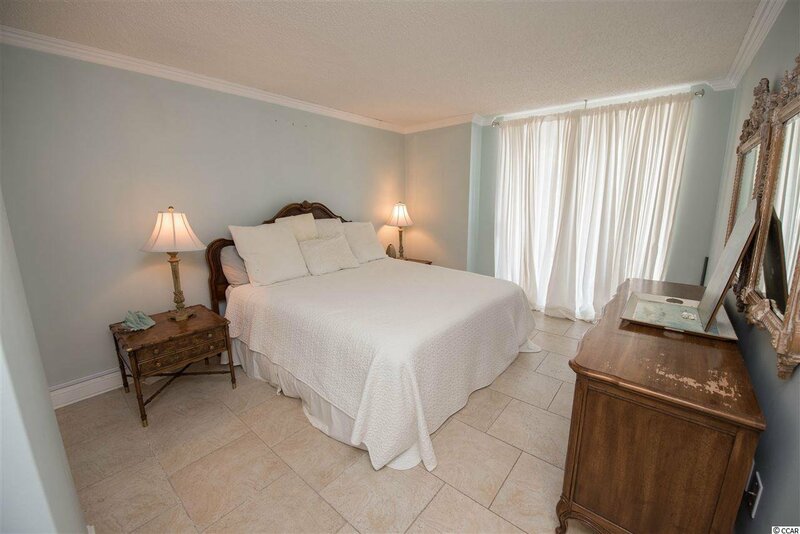 Located on the first floor of Northampton in the resort community of Kingston Plantation sits unit 101. 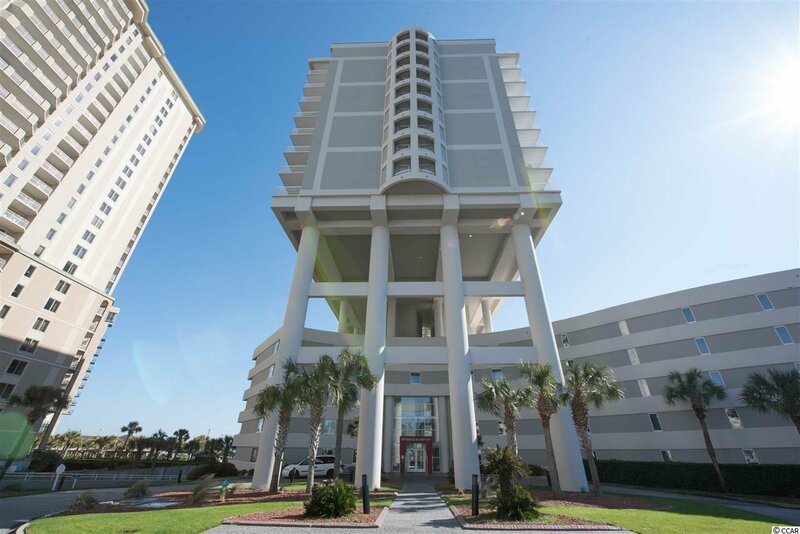 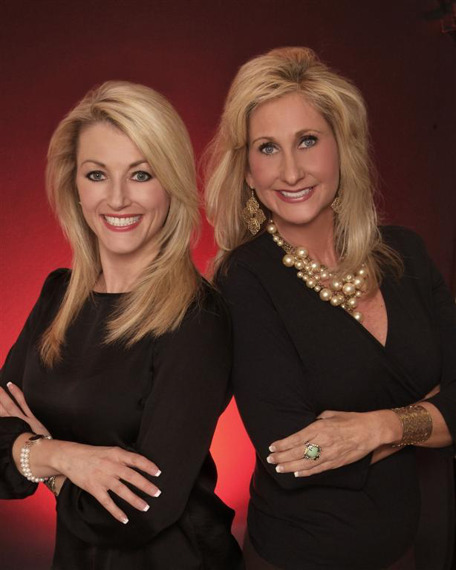 Imagine owning one of the 16 condos in the prestigious Club Zone. 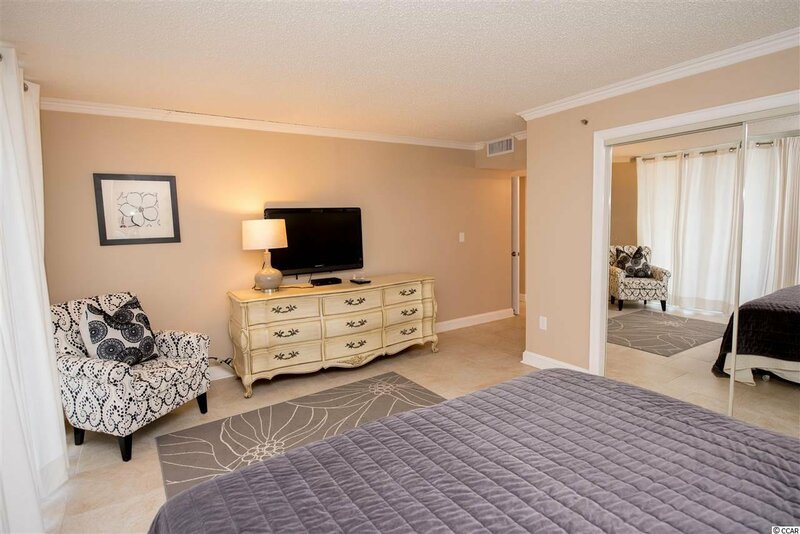 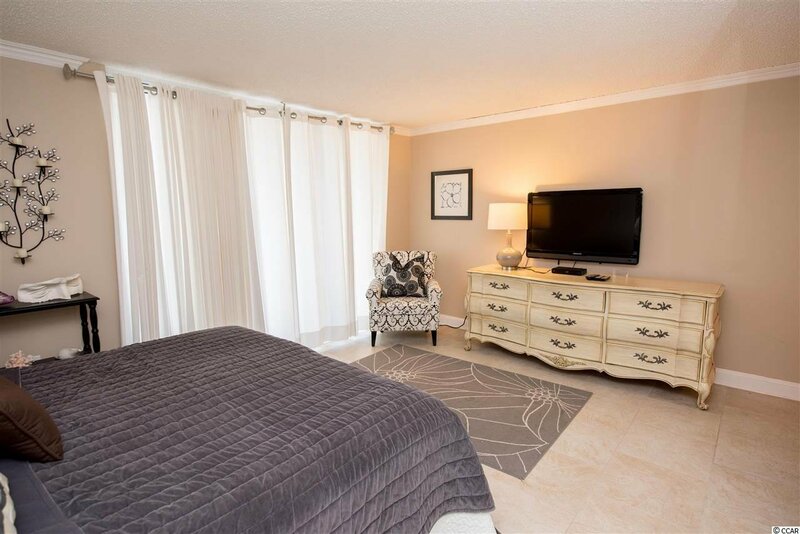 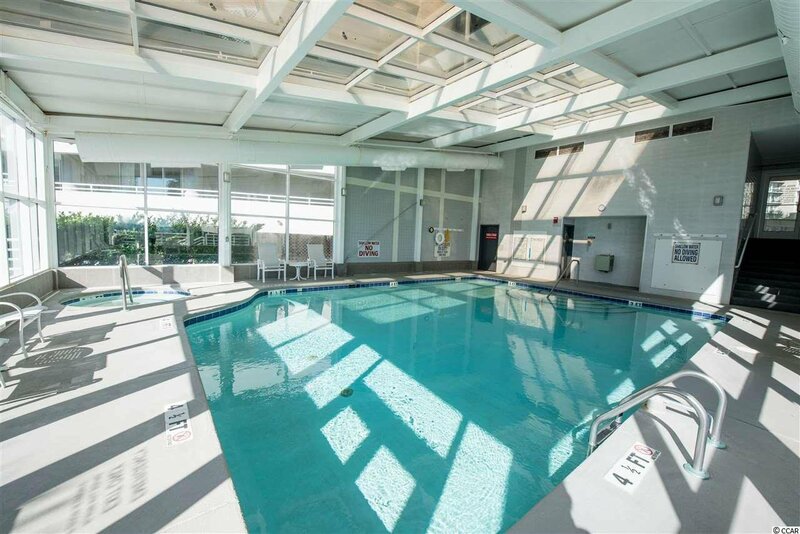 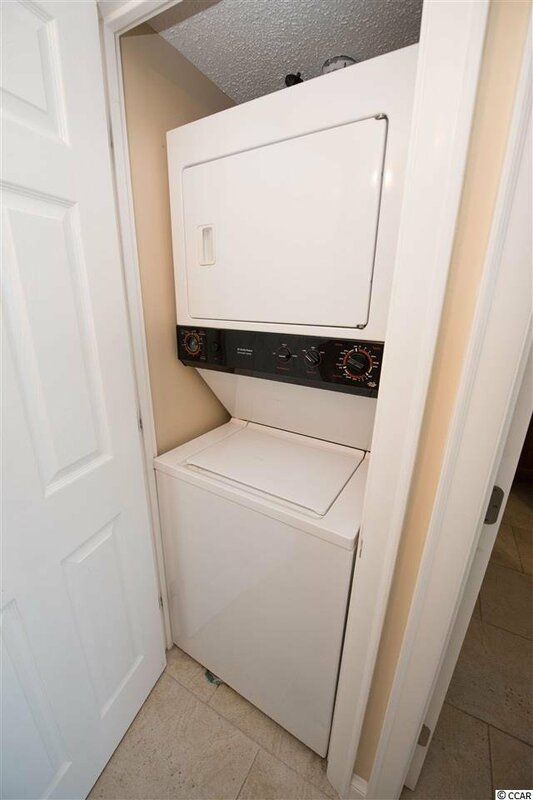 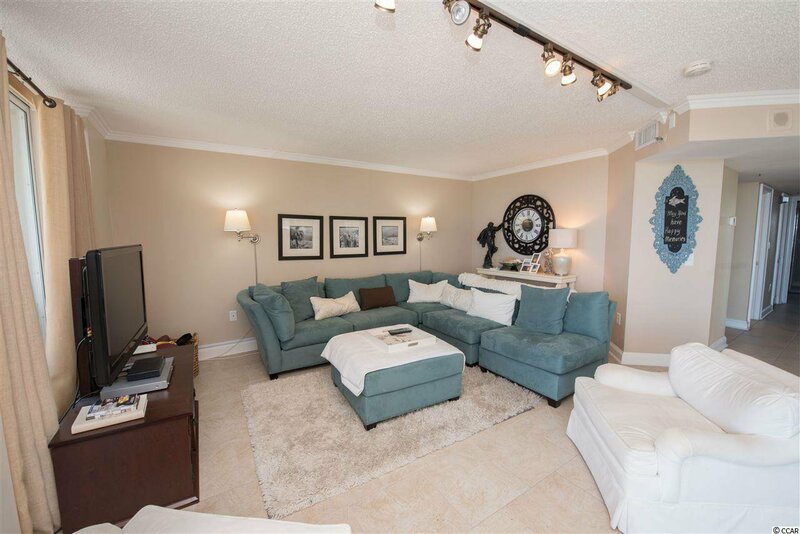 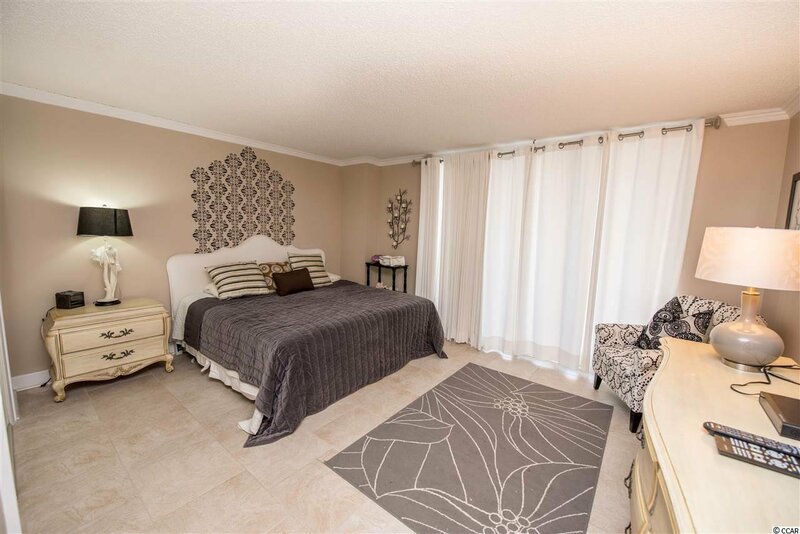 This is a corner unit with approximately 1,430 Sq/Ft of open, airy living space. 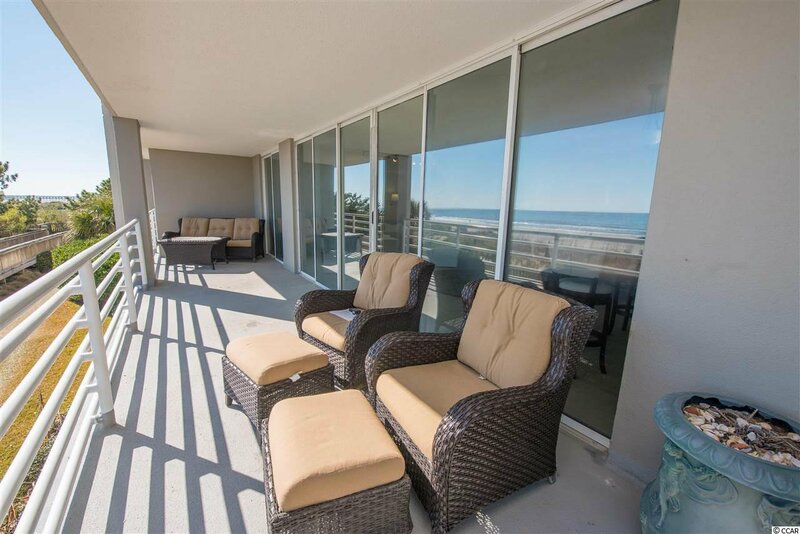 Upon entry to the living area you will be greeted by views of palms, sand, and the Atlantic from all angles. 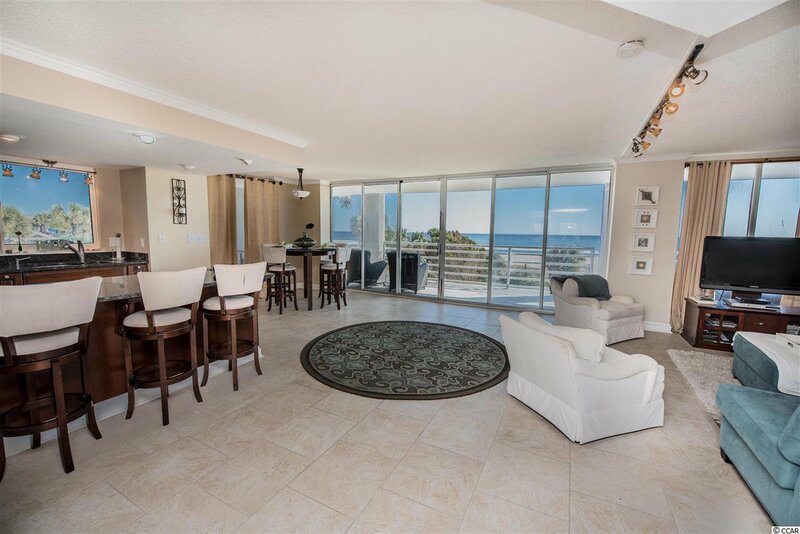 With almost 23 linear feet of oceanfront sliding glass doors, sunshine is uninhibited from washing over the tiled living room, dining room, bar area, and updated kitchen. 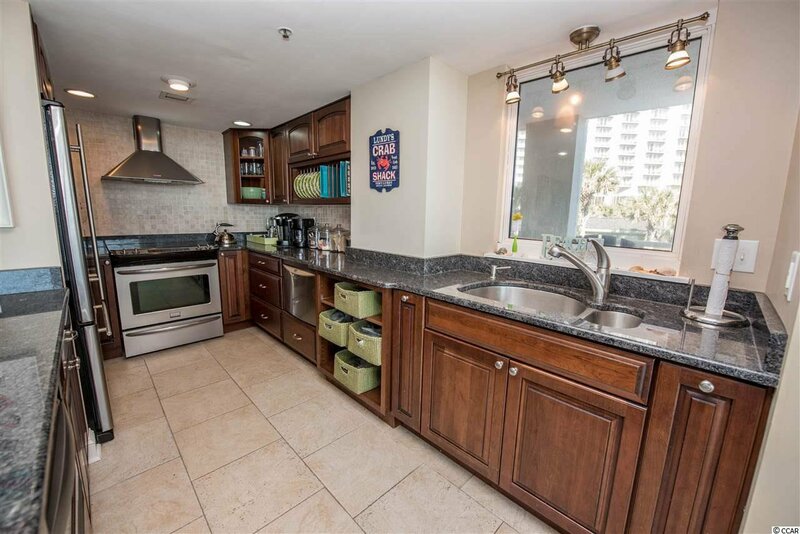 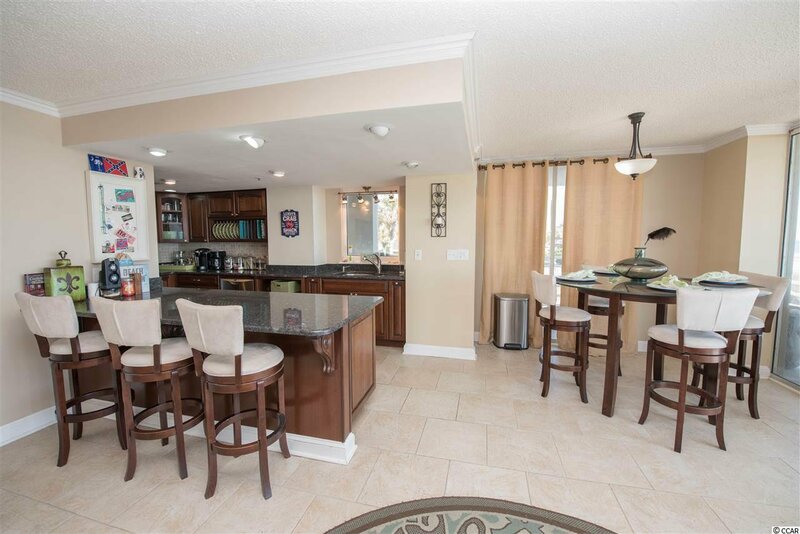 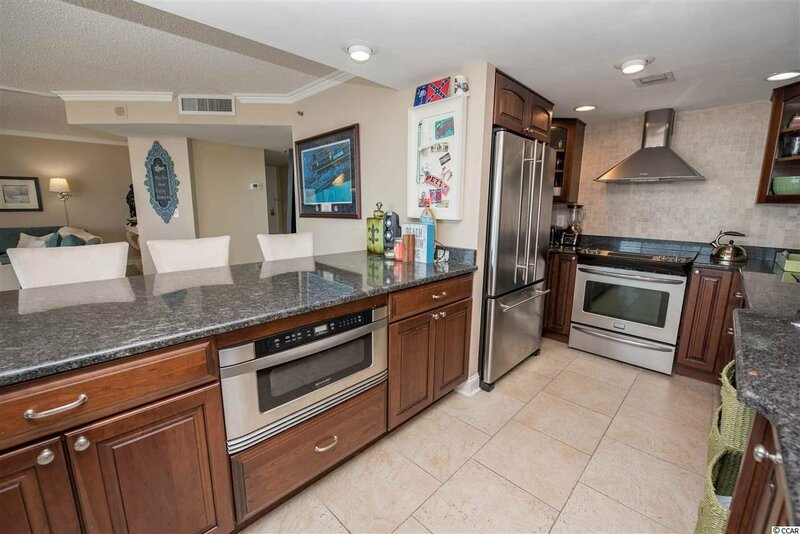 The ample kitchen is complete with stainless range/oven, microwave drawer, range hood, and dishwasher. 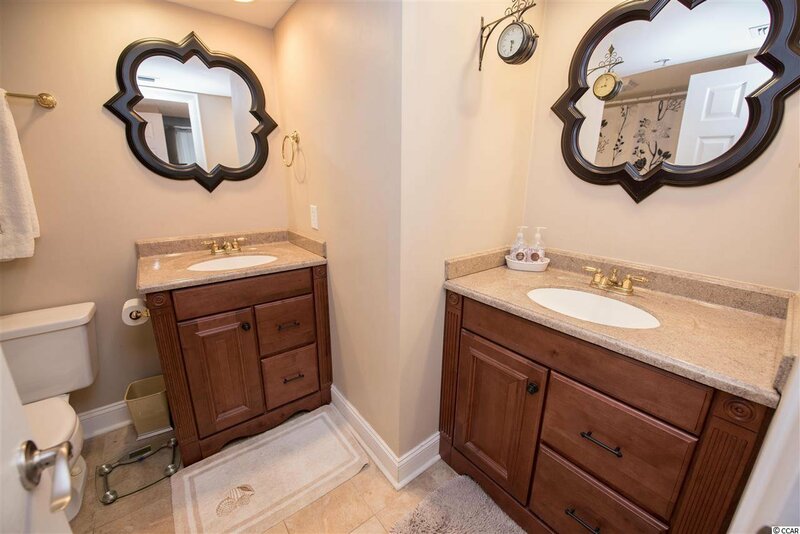 The perimeter is comprised of beautiful dark wood cabinets and self closing drawers. 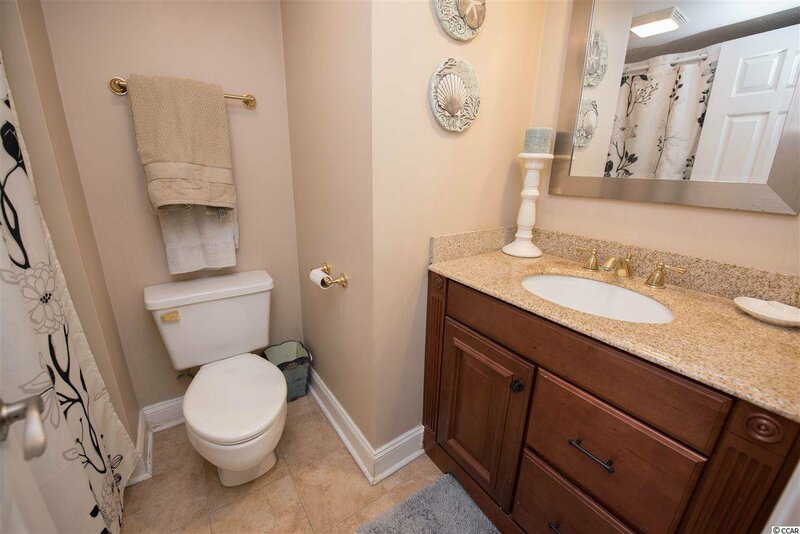 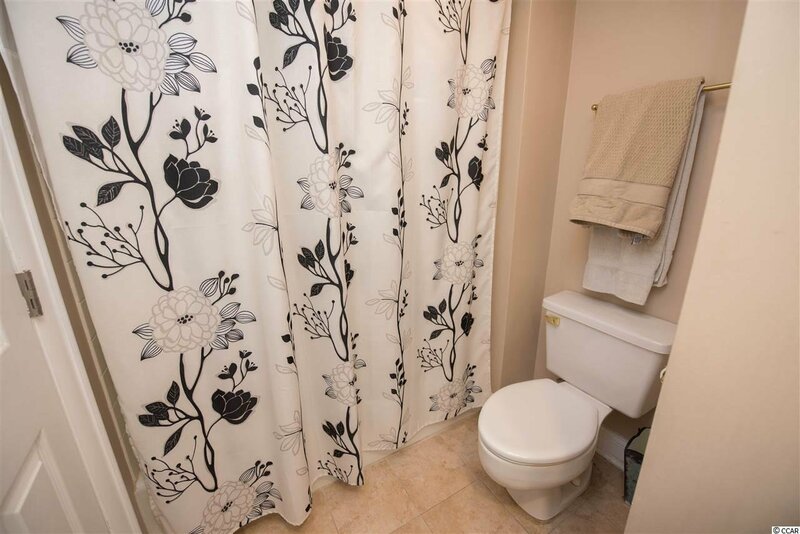 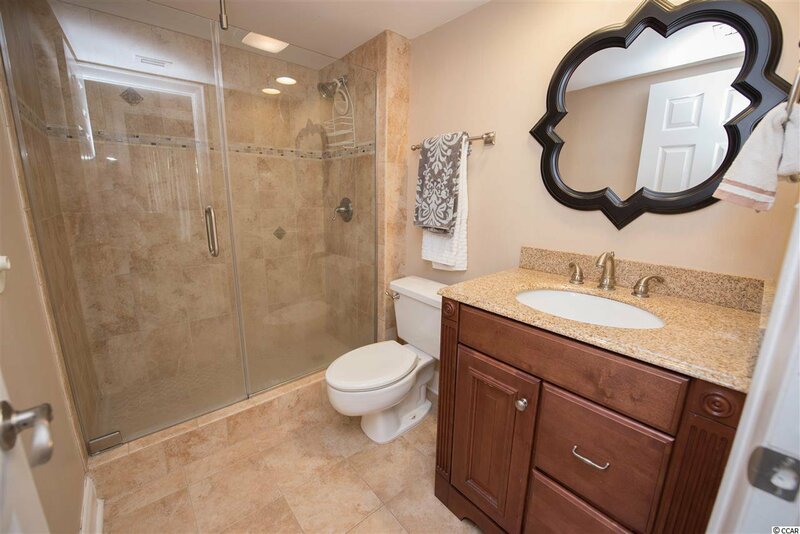 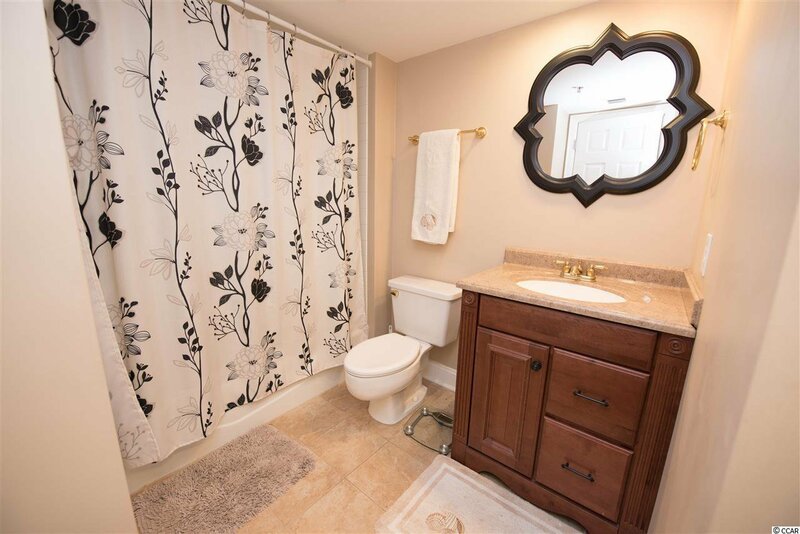 In the rear half of the condo you will find the common bathroom and its chic design of tile and glass. 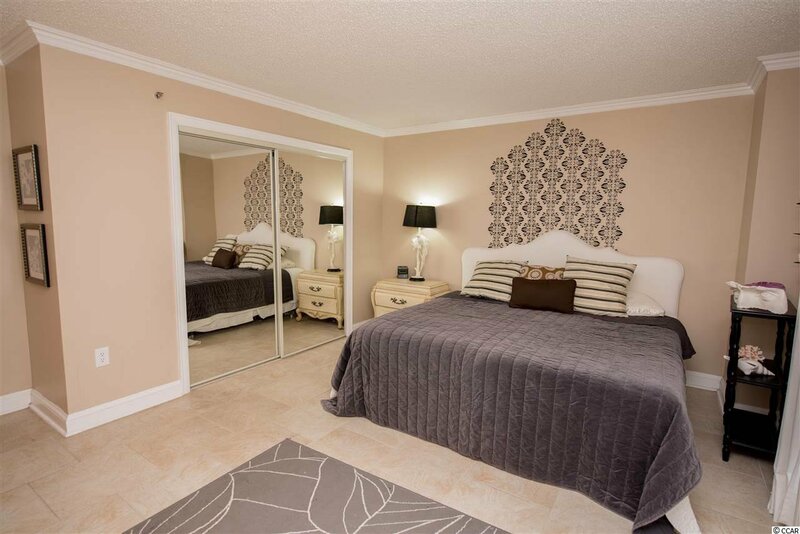 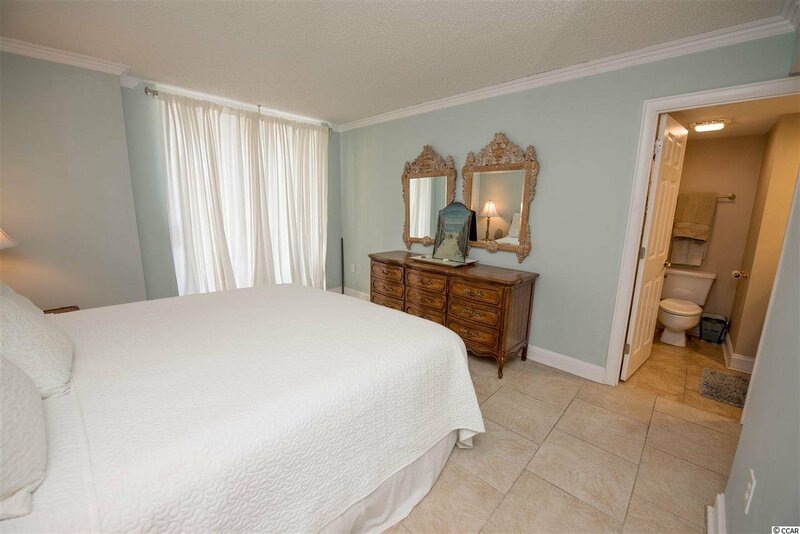 Both spacious bedrooms are complete with ensuite full baths, lots of closet space, and large glass sliders. 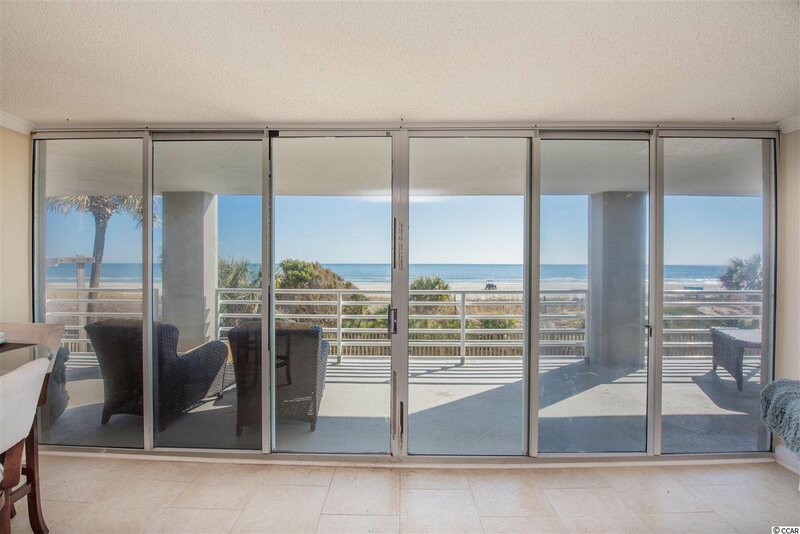 The wrap around balcony is 92 linear feet with 644 Sq/Ft of space to entertain and enjoy the beach. 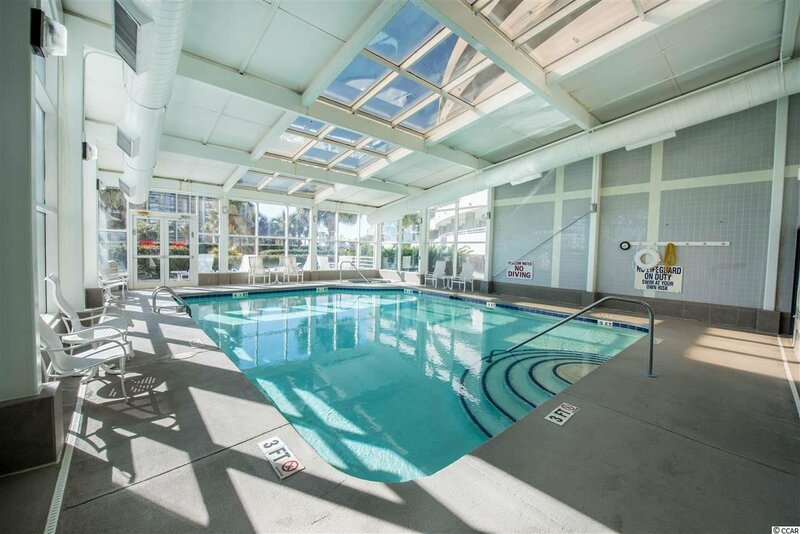 Owners in Northampton enjoy the beach, storage unit, secure access, indoor pool, outdoor Kingston Plantation pool, and amenities included in the Kingston Plantation master plan association. 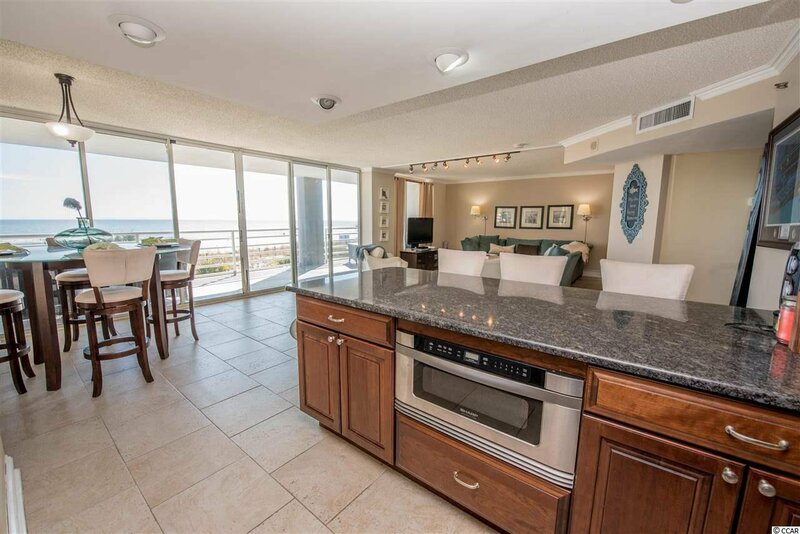 Make it a priority to see this gorgeous property and prepare to make a lifetime of memories here at the beach.